We saw a bit of goth, a bit of glam and bit of over top this winter season in both jewelry, piercings and fashion. 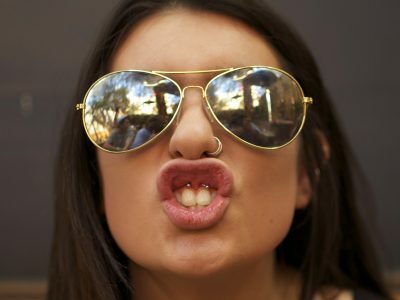 As the weather warms up, we’re seeing a bit of change in the piercing world and you know what? We’re all about it! 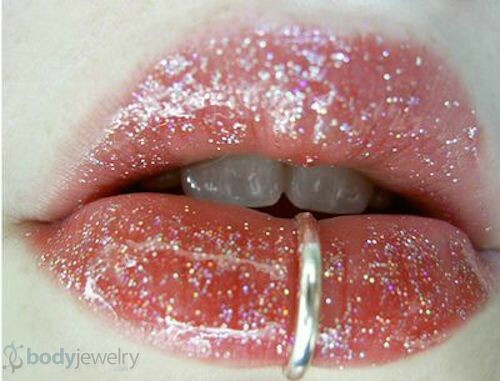 Colorful body jewelry, beautifully unique constellation piercings, luscious lower lip adornments and so much more! 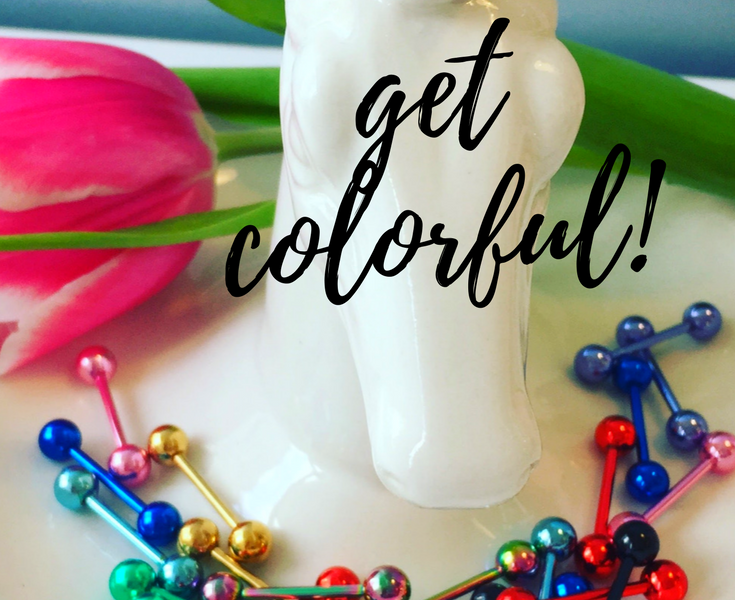 Spring into style with on this blog and don’t forget to subscribe and share if you enjoy reading our blogs be sure to follow us on Facebook, Instagram, Youtube and Twitter for the latest updates on everything piercings, as well as chances to win awesome body jewelry giveaways every single week. And don’t forget our huge Guess, Share, Win contest is going on right now. 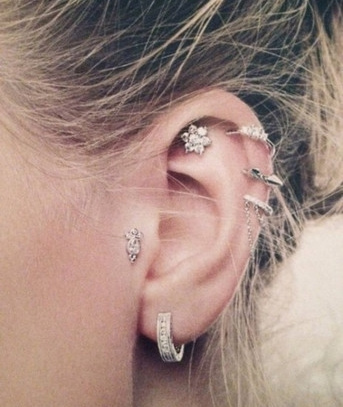 Now let’s get into some spring fever piercing inspo! We are all right about on the verge of cabin fever with this winter weather drab…remember when old man winter first approached? 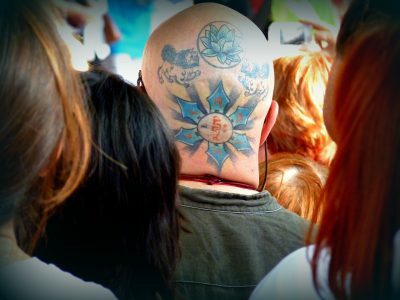 Most of us were all sorts of stoked to pull out our winter wardrobe of cool palette clothing and heavier, edgier accessories, including body jewelry. As March nears the corner, we can’t wait to see the return of lighter, flirtier colorful body jewelry. For starters, anodized titanium jewelry is starting to get the summer traction it usually has already. As spring break and warm weather getaway plans begins to surface, these psychedelic pieces of body jewelry are gradually stepping back into the spotlight. We love titanium jewelry because of their medical grade reliability and safety and the wide array of beautiful colors they come in, from sea blues to purple haze. You can’t go wrong with the high shine nature of anodized titanium and the variety of colors they come in so they are a great choice to start incorporating colors into your jewelry swag collection. 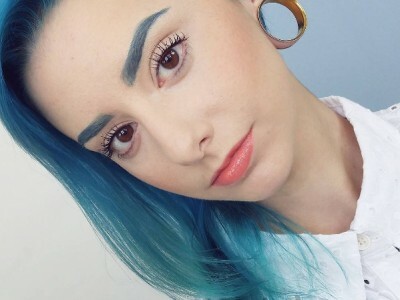 Yes, constellation piercings are here to stay. We saw during the last few seasons how the dainty little rook, daith and helix piercings dominated every woman’s want list, from teeny boppers to cool and classic professionals Unlike other piercings, the ears can handle quite a bit of variety and numbers of piercings better than some of our other, less socially and professionally acceptable piercing parts. Versatile and low on the pain scale, the ears are all about it this season. Constellation piercings, or clusters on piercings on the ear lobes, lend themselves to a variety of jewelry types and infinite combinations of style, which is likely why they are here to stay. Ear jewelry has stepped up its game in the recent years to step up to all this ear hype. For instance, ear studs, ear barbells, ear cuffs, ear chains and multi gemmed ear jewelry lend themselves to be a customized by the wearer far better than the days of hoops and studs alone. Ear barbells, in particular, have been coming on strong this season with new, dainty designs to symbolize the things we love most in our lives and want to show off, from stars to animals and even gestures of our profession, like tiny little scissors or symbols. We dig constellation piercings even more because of how “grandma friendly” these piercings are. Score! Lip decorating has been taken to new heights in the recent years not only with new makeup techniques and tools but the wide and readily available access to lip plumpers, injections and even suction tools to temporarily make the lips appear bigger have popped up just about everywhere. Big, juicy lips are no longer reserved only for the Pamela Andersons of the world but for the general population. 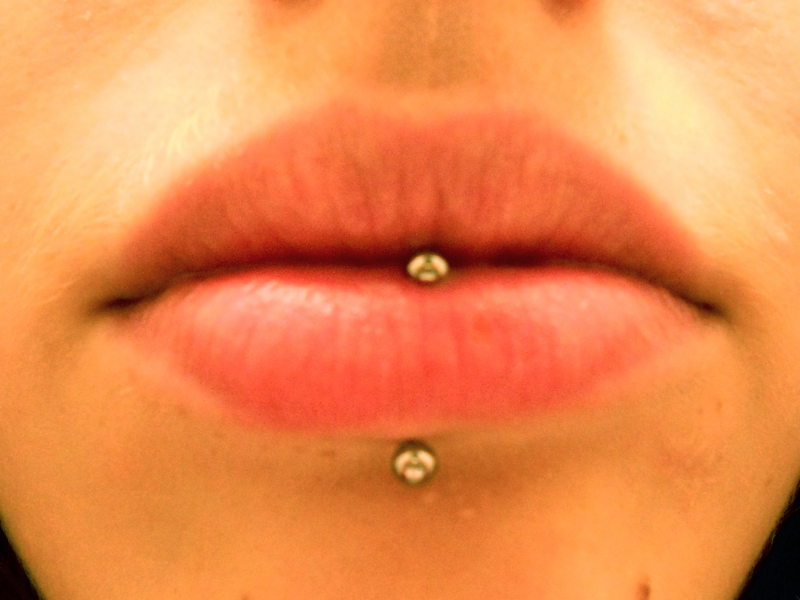 Lip piercings and faux lip piercings have hit the mainstream as hard as the septum piercing did just a few years back. Lip piercings that are just blowing us away is the vertical lip piercing and the inverse vertical lip piercing, affectionately known as the Ashley piercing. (See, even the names of piercings are sounding more dainty and cute!) The Vertical Lip piercing is a hit not only because of its universally flattering effect on any and everyone’s lip, but it also is one of the few lip piercings that do not go through lips from inside of the mouth. READ: this means no more annoying gum rubbing and irritation that you may have experienced with some of the other lip piercings that pierce through to the inside of the mouth. The look is a million dollars on just about everybody, period. The inverse vertical lip does go to the inside of the lip but the payoff is the illusion of a floating piece of jewelry, smack dab on the center of the lip. Genius. Now that you have a touch of color, a dash of splash and all the inspo you need to start your own warm weather piercing fads of your own, we encourage you to warm up your wardrobe with some of our Spring Into Style tips above. Let us know what you came up with as we know belly button piercing is just around the corner of full revival. Need a head start on your Spring collection of accessories? Submit your piercing photos and/or share your piercing story and receive a $5 or $10 gift card to from us to start funding your spring break jewelry fix.